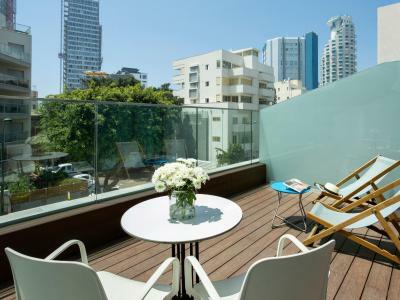 Lock in a great price for BY14 TLV Hotel – rated 8.6 by recent guests! Everything was nice, clean and close to everything. Walking distance to the beach and the staff was nice and helpful. Great location and very friendly staff. 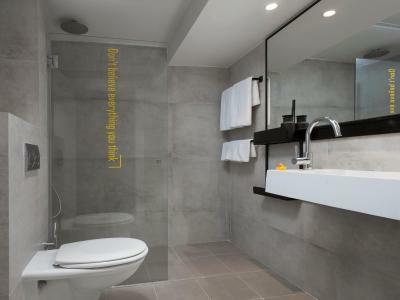 The hotel is modern and close to the beach and good restaurants. Dizengoff center is a 20-minute walk. 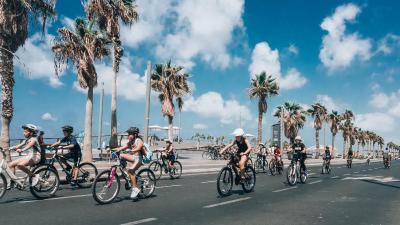 The Ladies on your staff was very Friendly & helpful planning and booking my tours in Israel.The Men on your staff were also very helpful & friendly. When i come back to Israel i would stay there again. 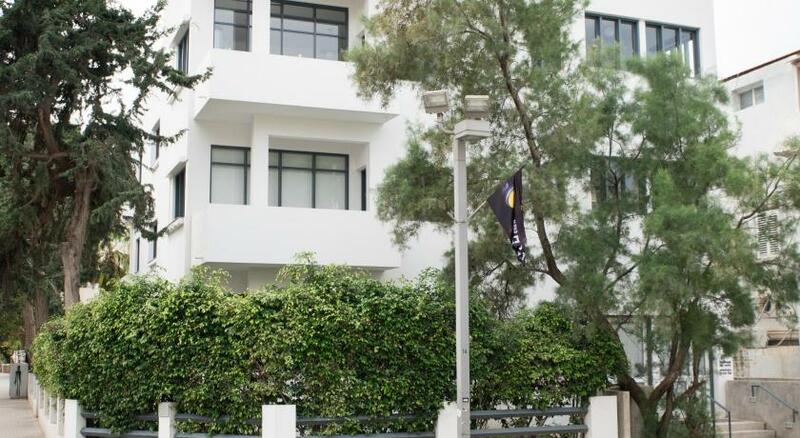 Its close to the beach and a short walk to Jaffa. Nice to have a good breakfast! Also enjoyed the cappuccino, & cookies. Staff was excellent! Location was great! Room was totally clean and comfortable! Hip decor! The nicest and most accommodating staff. 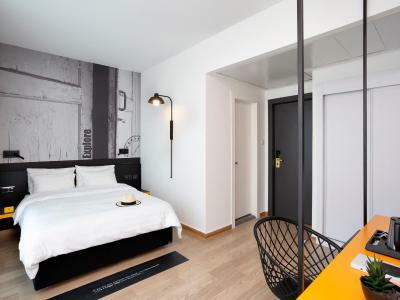 The hotel is clean and modern. Bed is comfortable. We got to the hotel late and they were completely fine w us checking in late. Expect service with a smile, no matter the time. The coffee and cookies 24/7 in the lobby is are cute. It's close enough to the beach and restaurants to walk. 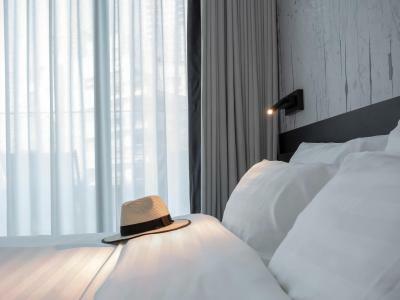 The placement of the hotel is very good, also the food 5 we had a breakfast included, but the suff wasn't very polite and our bed was not very clean (hair in the bed), butthey changed the bed at request. 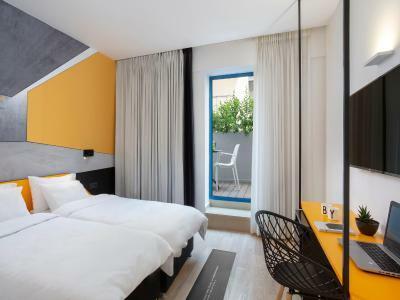 Featuring a sun terrace, a free gym, and free bike rental, BY14 TLV Hotel offers modern rooms with free Wi-Fi. 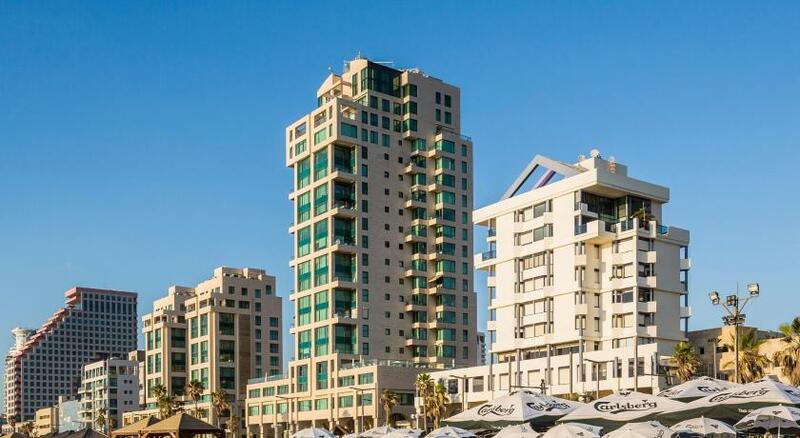 Tel Aviv's beach is 1,150 feet away. 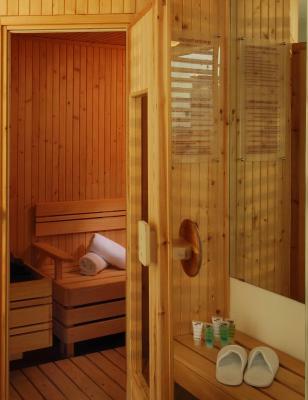 Rooms here all include an LCD TV, mini-bar, and hardwood floors.The private bathroom comes with a hairdryer. 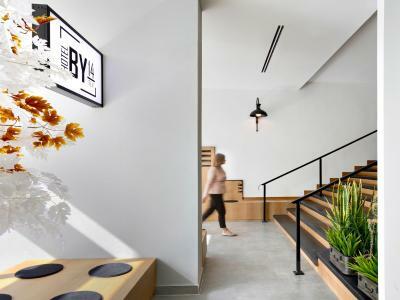 An extensive sweet and savory breakfast is served daily in the BY14 TLV Hotel's café. A bar with lounge is also available. 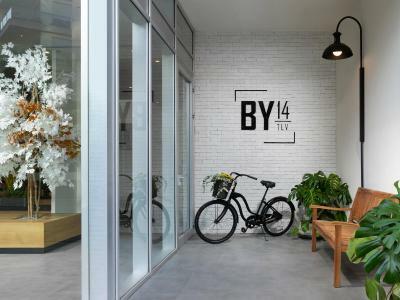 BY14 TLV Hotel is also a short walk from many of the city's attractions, including the colorful Carmel Market, Diezengoff Square, and Sheinkein Street with its many lively cafés and restaurants. 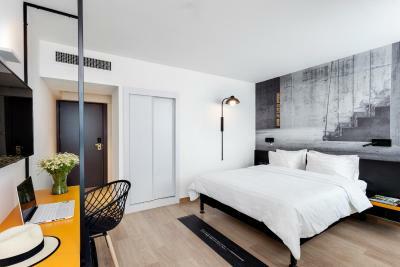 When would you like to stay at BY14 TLV Hotel? Private parking is available on site (reservation is not possible) and costs ILS 70 per day. 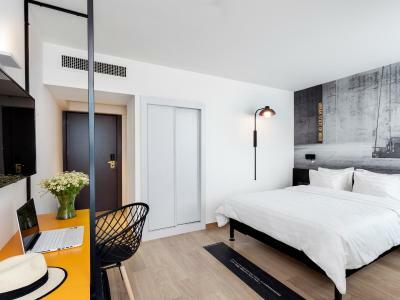 House Rules BY14 TLV Hotel takes special requests – add in the next step! One child under 16 years is charged ILS 90 per night when using existing beds. All children under 16 years are charged ILS 90 per night for extra beds. Any additional older children or adults are charged ILS 140 per night for extra beds. 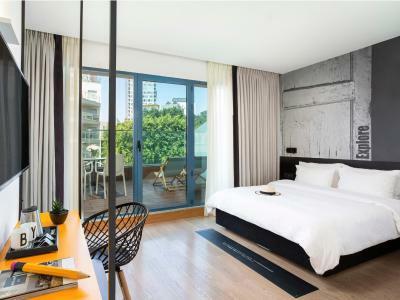 BY14 TLV Hotel accepts these cards and reserves the right to temporarily hold an amount prior to arrival. Please note that guests younger than 21 must be accompanied by an adult. Reception didn't have money to change, I should to wait around 1h to change dollars on local currency. Hotel is really great, very good location, everything is close. Breakfast also was very good. Room is clean, ac worked perfect. No decaff coffee :-( Rooms are quite small, two suitcases means little space to stand! 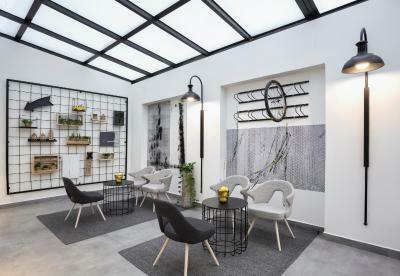 The receptionist who checked us in at 4am was exceptionally nice and helpful and got us into a room at 7am, as well as finding us a space to wait the few hours and have a little nap, a godsend! 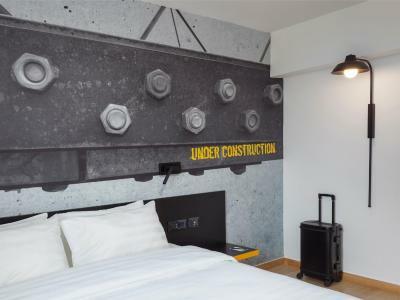 It’s good to understand that this is a former chain hotel turned into something more modern. It looks quite nice but it is still a quite an old building and certain parts are quite worn out (windows, terrace doors). It would use a better cleaning service as the windows were so dirty you could barely see the outside world, the bed frame was really dusty. Given the hotel prices in Tel Aviv, it’s quite crowded and our room wasn’t ready on time (please note that the check-in time is at 3 p.m.,so there is plenty of time to sort things out). Great location in the center and close to the sea. Very good breakfast. The breakfasts were only correct. No fireworks. Comfortable bed. A beautiful view from the 11th floor. Very nice service. Comfortable Clean location Access to Coffee machine 24 hrs and Check out time 1pm and hold your bag after checking out.Friendly helpful staff Great Experience .Will Stay there again!! The staff is super polite and friendly. 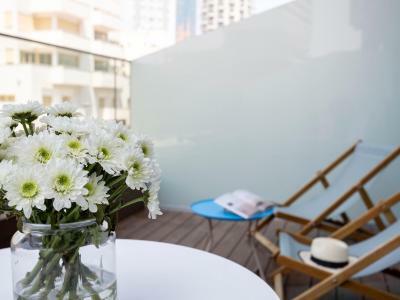 The room with a terrace is very comfortable and neat. Location is beyond any judgment - Dezingoff, Florentine are so close, beach is just around the corner. Money exchange and all around the clock supermarkets (even during Shabatt) are nearby. 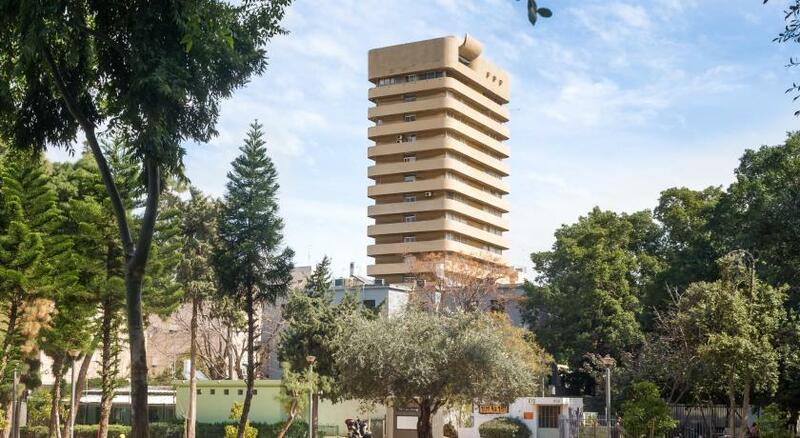 Located near the beach and close to Dizengoff street, Carmel Market, ... Busses that stop in front of the door that bring you to all the main railway stations and from there to Ben Gurion Airport. 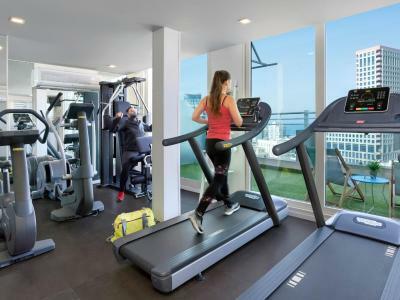 Modern, comfortable and very clean hotel with gym and sauna, lounge, free tea and coffee in the lobby, sun roofterrace with spectacular city and sea view, secret terrace more surclosed. Breakfast offered many Israëlly dishes, but also continental choices, plenty and of very good quality. Everything. The service was excellent, very young and positive atmosphere. Very nice breakfast.